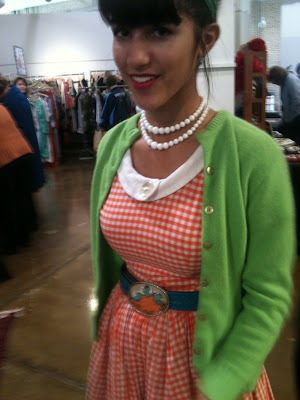 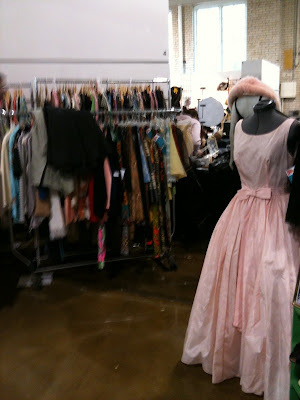 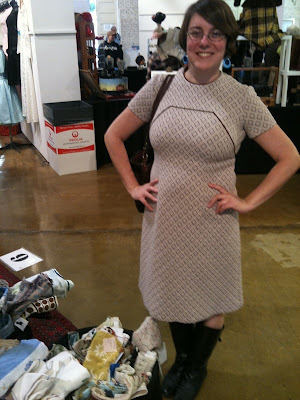 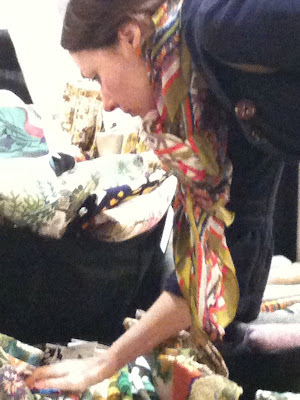 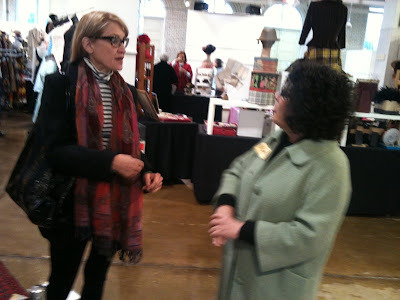 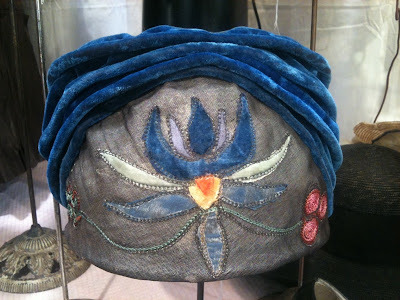 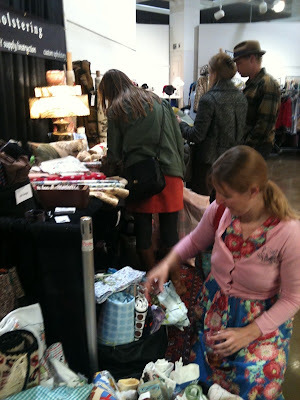 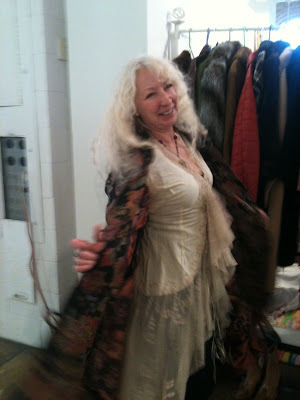 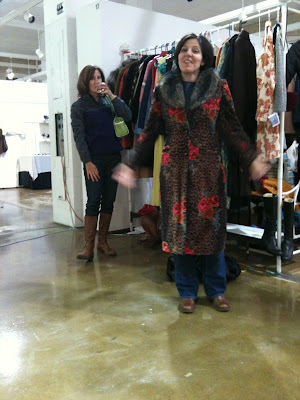 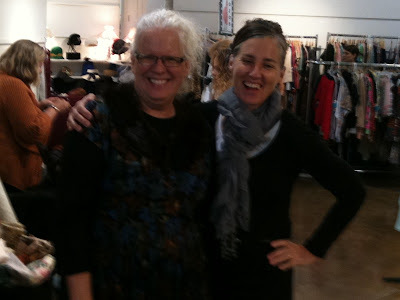 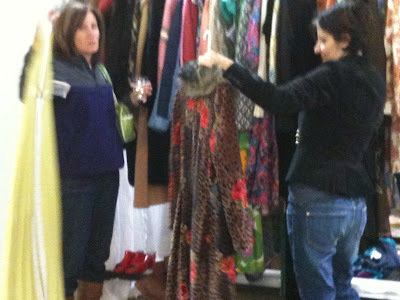 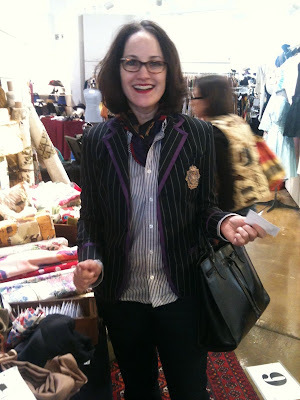 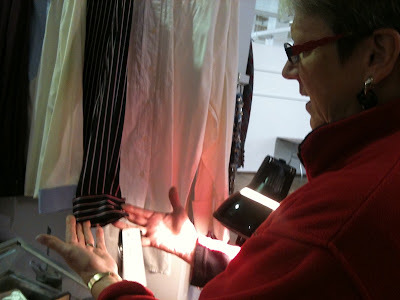 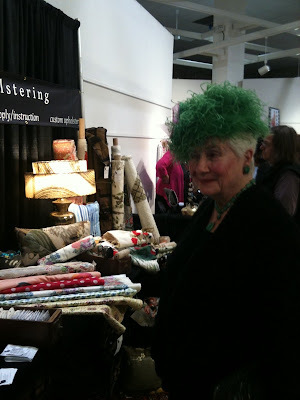 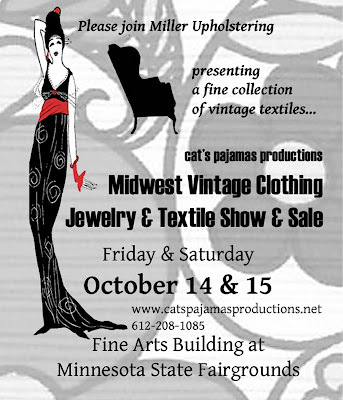 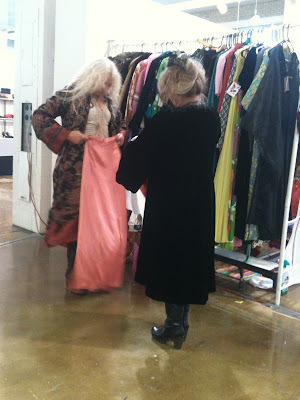 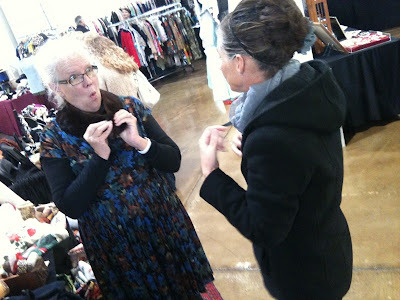 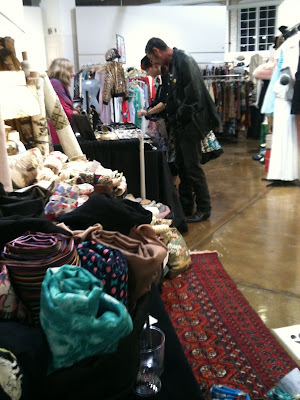 hosts a vintage sale twice a year in the Twin Cities. 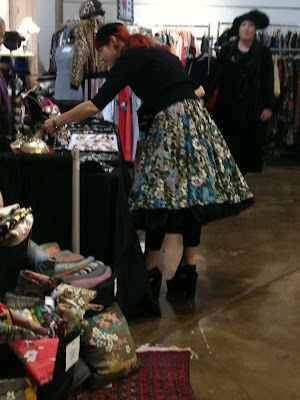 I've attended in years past as a shopper. 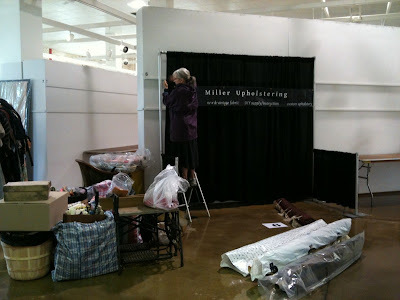 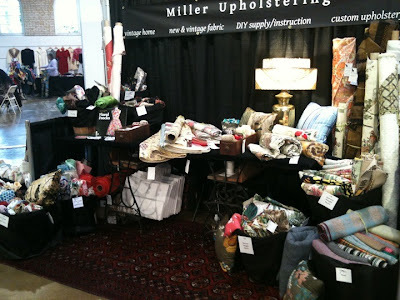 Last weekend, as a vendor to show a selection of vintage yard goods I sell at Miller Upholstering and to invite people to visit the shop on East Lake St.
We load in and begin set up. 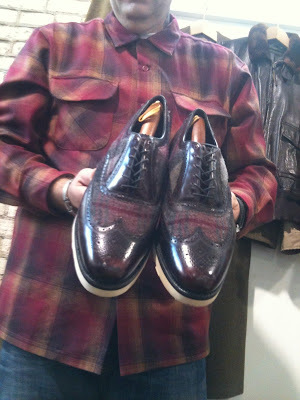 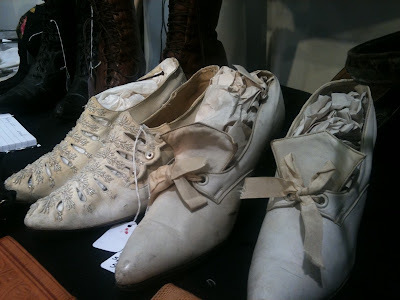 My vote for Best In Show - vintage wingtips, boots and brogues reworked by Zen The Freshmaker forGreenwich Vintage. 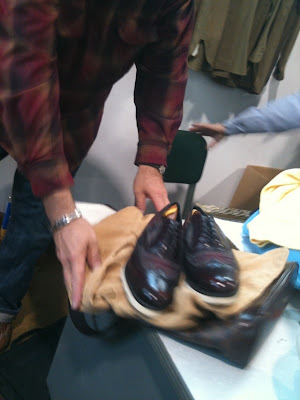 A professional cobbler, here he's resoled the classic styled shoe and sewn in Pendleton plaid. 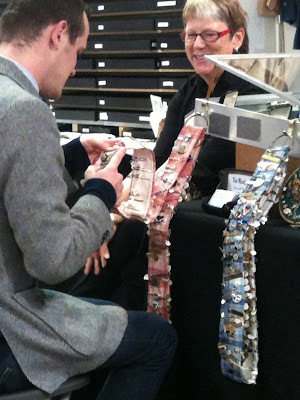 This is so Andrew Martin to me, which I love and find inspiration for interior applications. 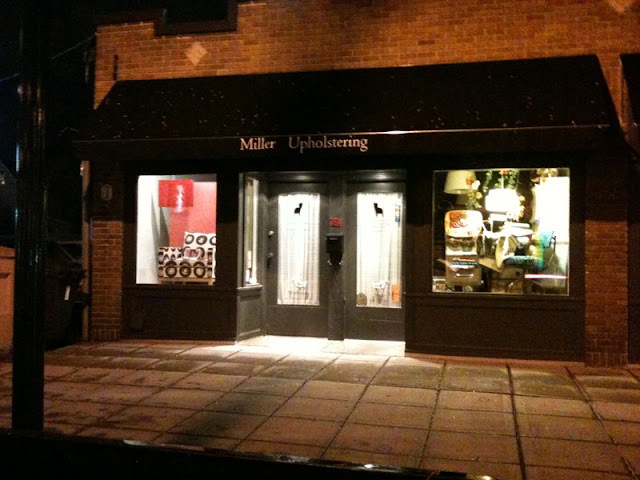 When Greenwich Vtg Ltd makes a bricks and mortar presence, Miller Upholstering will be a strong supporter - I'm already a huge fan. 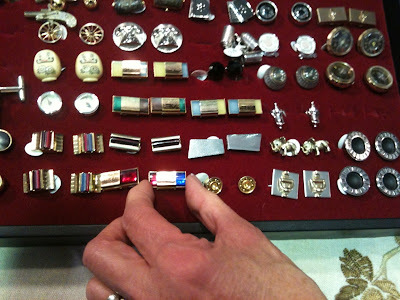 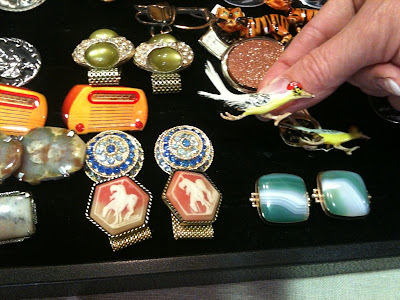 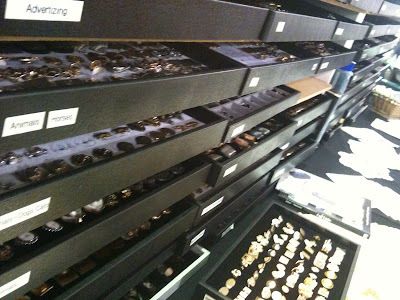 Next, I loved Nancy Adomeit's vast collection of cuff links and necktie barclasps. 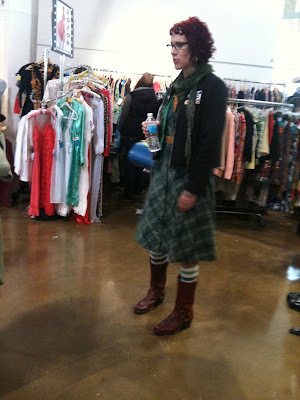 ...as many others did. 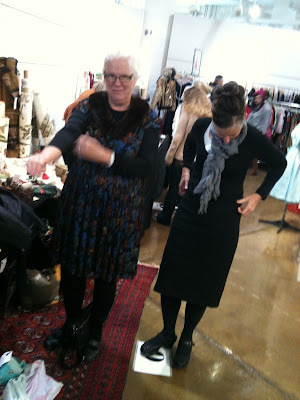 Minneapolis' own The Missing Link is also supplier to the fine and popular Martin Patrick 3, so if you missed the show, you can select something fabulous at this carefully curated store in the warehouse district. 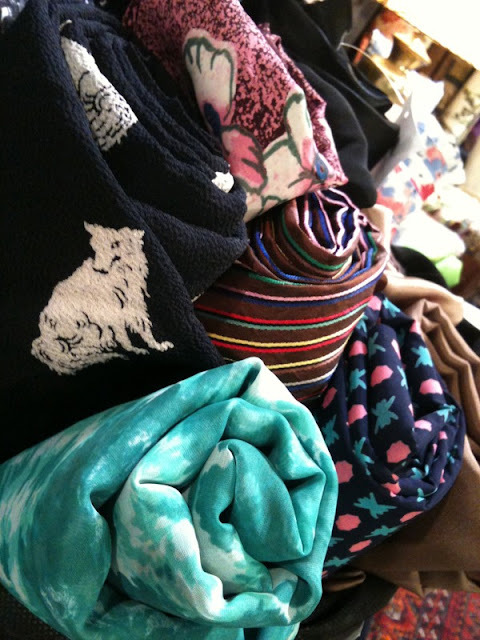 Baskets full of vintage fabric - just the tip of the iceberg of the collection held by LulaVintage and for sale at Miller Upholstering. 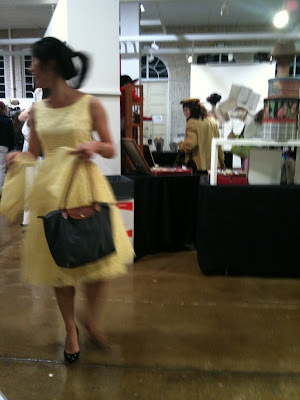 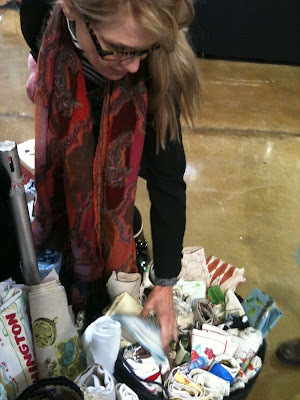 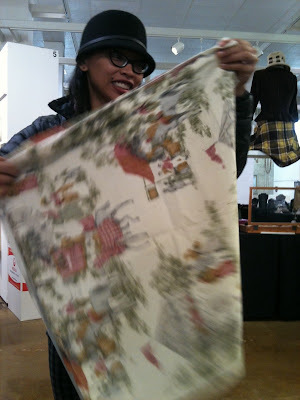 And finally the show was over, we pack up and return to our shop in the Longfellow neighborhood of East Lake St.
Where you can always find vintage and new fabric for your DIY projects or custom interior orders! 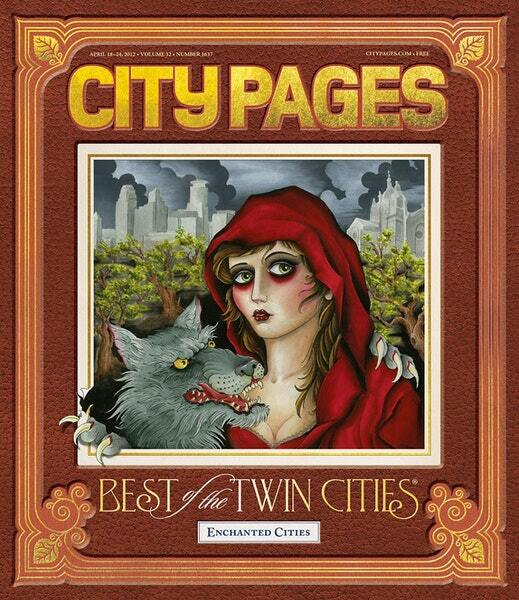 Voted City Pages Best of 2012 Furniture Repair Thanks everybody!